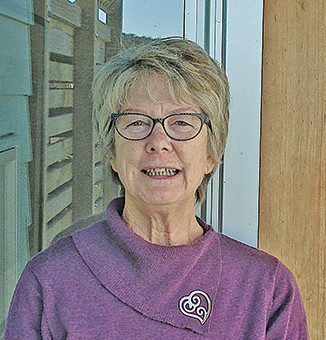 Ōtaki Beach resident Di Buchan, with support from the Ōtaki Historical Society is researching the experiences of people living and working at Ōtaki Health Camp. The 10 hectares of land was gifted to the Crown in 1930 by Byron Brown, and in 1941 was deemed to be for “a children’s health camp”. The Children’s Health Camp Board was re-named in 2013 as Stand Children’s Services, and is a registered charity. Recently they decided to move to Paraparaumu: a decision that was later rescinded. This decision caused much disquiet in Ōtaki because of the historical connections between the town and the facility and the significant role this facility has played in the Ōtaki community over the past 80 years. Also, since the Rotunda is a Grade 1 Historic Building, and a portion of the land is classified Reserve, and the land was gifted to the government for a specific purpose, sale of the land for other purposes is likely to be difficult to dispose of it. .
Di Buchan has worked as a social researcher for the past 25 years and has recently retired. She completed a Masters Degree in Public Policy in 2010 and for her final thesis, documented the experience of skilled migrants and their integration into New Zealand Society. Now, with a team of Ōtaki volunteers, Di will document the stories of staff and children who were at the camp. With her skills, the Ōtaki Mail looks forward to the time when the full story of the Ōtaki Children’s Health Camp, its children and its staff can be told. A research project is about to get underway to record people’s experiences of staying or working at the Ōtaki Children’s Health Camp at some period from the 1940s. Do you know anyone who was a resident at the camp as a child or who worked at the Camp? If so, please ask them to contact me to discuss how they can contribute to this project with information on their experiences. Confidentially assured.